I was having a Skype discussion on asking the right questions when someone asks us to test a product. We realized that there were many questions and thought of creating a mindmap to build a mnemonic for easy remembering. It is not mandatory that we ask all the questions but it is a good idea to consider all of the categories. I left Bangalore on 1st Feb on a 2-day trip to Hyderabad. The purpose of the visit was to interact with my Hyderabadi tester friends and also take a break. Anurag Raghuvanshi received me at the Kacheguda station. The train was delayed by half an hour. We took the MMTC train to Hi-Tech city. Then we freshened up, had our breakfast and started with a testing session. Anurag wanted us to test Junglee. Last time, we had tested Flipkart. So, we set a charter to test just the Search bar on Junglee. The session was restricted to 15 minutes. I created a mindmap and screen recorded my session. We went for lunch - Hot butter rotis and lots of paneer. Later we sat down for another testing session. I was happy with the Wi-fi speed and checked the speed on SpeedTest. It was more than 2Mbps. He downloaded the application PNotes and I asked him to highlight his test strategy. 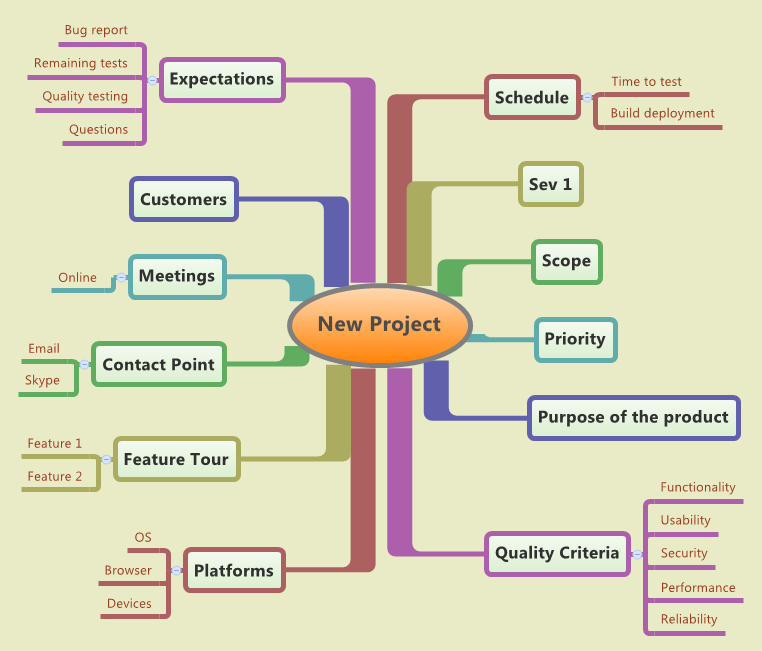 Then, we created a map for Project Planning template. After reviewing Anurag's work, I gave him the next task to discover what the files .aff and .dic stood for. I showed him the power of search terms to gather more information about the files. It was time for a break. We enjoyed few hot Jalebis, parathas and then headed for Skype Coaching session from 10pm IST. 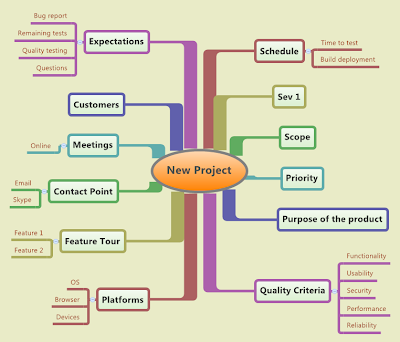 I had asked folks to create a mindmap and get used to the tool. Day 2, we had guests to the room. Sudhamshu, Abhinav and Balaji. We stopped and then had Hyderabad Biryani for lunch. Balaji came after Abhinav and Sudhamshu left for the day. We went through my article on New Year Resolutions for a tester. Balaji highlighted his experiences of RST workshop with James Bach. He tried 1-2 exercises on us and also told why he was so impressed by Rahul Verma's words. We discussed about why reputation and credibility is so important for a software tester. Then, it was time for Weekend Testing session. The report can be read here. When I thought that it was leave Hyderabad, I met Bikash who turned out to be a passionate mobile apps tester. We had a good discussion on the tools we use and the challenges we face. All in all, it was a great two day trip to Hyderabad. My special thanks to Anurag for hosting me.